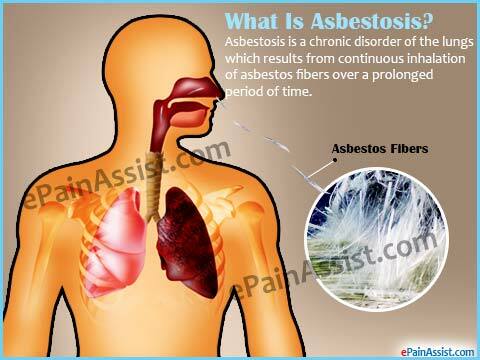 Asbestosis is a chronic condition caused by inhaling asbestos, which affects the lungs. The tissue of the lungs become scarred and damaged, leading to difficulties in breathing. At present, there is no cure for asbestosis. It is known that chrysotile asbestos causes asbestosis, and this is one of the six different types of asbestos. Asbestos, long known as a ‘miracle mineral’, is harmless if left undisturbed. But if it gets chipped or otherwise damaged, it releases microscopic particles into the air, which can be inhaled and ingested, leading to asbestosis and other asbestos-related illnesses. It is not known how much exposure is needed in order for these conditions to develop, with some people not developing the condition after severe and prolonged exposure, while others developing it through irregular secondhand exposure. When asbestos fibers become lodged in the lungs, they cause fibrosis, which is a scarring of the tissue of the lungs. These tissues become increasingly thick, and this restricts breathing and also causes chronic pain. The latency period of asbestosis can be very long, which means people are often not aware that they have it, until their breathing becomes so labored that even simple tasks are hard to complete. Treatment generally includes medication. While a chronic condition with a cure, the prognosis is still good. This is because it is not a form of cancer, which means people can live with the disease. That being said, the condition significantly decreases overall quality of life, and as the disease progresses, increased treatment is required. The symptoms of asbestosis usually start as very minor, but worsen over time. At first, they are only noticed when someone engages in quite strenuous exercise but, as it progresses, it becomes noticeable even when engaging in simple tasks such as walking to the kitchen. The latency period of asbestosis can be very long, with most people developing symptoms between seven and 20 years after exposure. Because asbestosis is chronic and progressive, the reduction in function of the lungs does affect all other organs. The most dangerous complication is that the heart has to pump much harder and faster, leading to stress. It is very common for people with asbestosis to die as a result of heart failure, rather than asbestosis itself. While asbestosis itself has a reasonably good prognosis, those who have developed it are at an eight to 10 times greater risk of also developing lung cancer. The prognosis for lung cancer is very poor. The chances of developing mesothelioma, a very rare form of cancer, are also increased. High blood pressure, particularly in the arteries of the lungs. This is known as pulmonary hypertension. Lung complications, including pleural effusions and pleural plaques. While not necessarily dangerous, these can further lower overall quality of life. If a patient presents with the symptoms of asbestosis, a physician will first try to determine whether there has been any asbestos exposure in the patient’s life. This is because the condition is caused exclusively by exposure. If exposure has taken place, a complete physical examination will be carried out, as well as a chest x-ray and a long function test. If anything shows up on the x-ray, a lung biopsy will often be carried out, which will enable physicians to test the tissue for asbestos fibers. Asbestosis was first recognized in medical literature in 1924, long before asbestos was banned. A doctor, from the United Kingdom, treated one Nellie Kershaw, a textile worker. She died of her condition and this brought the first ever asbestos regulations in place in 1932. It took almost another half a century before it was banned altogether. The prognosis for asbestosis is good because it is not a cancer. As such, people do not die of asbestosis. However, because of the strain it puts on the body’s other organs, it is more likely that people die younger. Additionally, the chance of developing lung cancer or mesothelioma, which are very lethal cancers, is increased. According to the American Public Health Association, asbestosis is believed to have been responsible for the demise of some 9,000 people between 1968 and 2005. 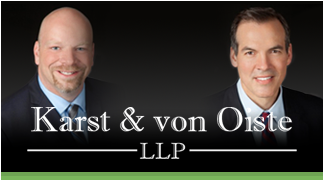 According to the World Health Organization, some 125 million people continue to be exposed to asbestos at work today. Even in this country, some 1.3 million people continue to have occupational exposure, particularly during demolition and removal activities. If you or someone you love has been exposed to asbestos and now face a condition such as pleural thickening, contact us immediately to speak with a specialist who will help guide you through your options, both legally from a compensation standpoint and medically should you have questions.